This month we head for the hills to find out about Steiermark wine and the ‘Steirische Terroir & Klassikweingüter’. Steep slopes at high elevations, unpredictable weather conditions – at first glance, Steiermark does not seem suited for viticulture. But it’s exactly these difficult conditions that are responsible for the distinct character and high recognition value of Steiermark wines. Their great success and the growing international demand are not in the least due to a group of ten wineries that stands for premium Steiermark wines with its quality seal the ‘Steirische Terroir & Klassikweingüter’ (STK) unite the most diverse winemaker personalities and wines with the common goal to constantly promote the region and craft the best single-vineyard wines. In a climatically unique winegrowing region, which is located at an elevation of 400-500 metres between the Alps and the Mediterranean Sea, hot days in summer and warm days in autumn give the grapes the ideal ripeness in the STK region. Cool nights, in turn, preserve the vitality of the vines and provide the freshness, aromas and flavours of the wines. The STK wineries want their wines to taste like the mountains from which they originate. There is a good reason that the five different soils of the region produce multifarious taste sensations. The STK seal thus guarantees not only outstanding quality but also origin, since the wines identified by this seal exclusively feature grapes from Steiermark. 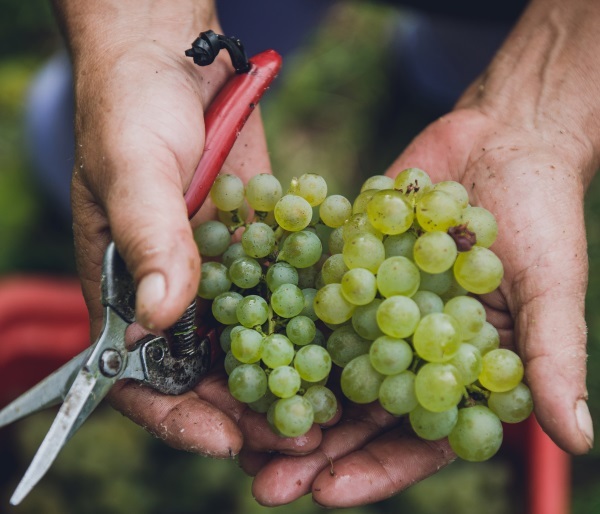 In addition to the signature grape, Sauvignon Blanc, traditional varieties like Welschriesling, Weißburgunder, Morillon or Gelber Muskateller are cultivated. All grapes are picked by hand, carefully fermented and aged. STK wines represent long-lived wines from top sites, classified in different categories such as ‘Große STK Lage’ or ‘Erste STK Lage’. The constant challenge for the vintners of this region is to brave the weather in all its forms including heavy rainfall. The hard work in the vineyards – on steep hills up to 100 percent, in all weathers – reflects the exceptional relationship here between winegrower and nature. The Steiermark vintners, however, have learned to consider the influence of climate and terrain as the strong point of their wines and as an additional motivation to promote their progress away from fast-moving trends, with their experienced knowledge, their passion and their diligence. The STK vintners were born with a bond to wine, and each of them has their own viticultural family history spanning many generations and sometimes even centuries. Their wines present themselves just as individually, each bearing the trademark of the vintner in the taste of Steiermark terroir. But what unites them all is the respectful dealing with ancient traditions and the joint endeavour to continue to pave the way for future success, stimulated by the constant exchange of knowledge and mutual respect within the STK community.